One example of our quality work. We'd like to tell you a bit about ourselves and what we believe in. 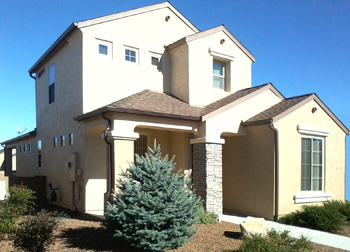 RNM Painting is a company which serves Northern Arizona. Our goal is to always give you, our customer, a quality job with expert service at a reasonable rate for interior and exterior painting. RNM Painting is looking to take on more residential projects, inform our customers about the latest quality products and let our experience help you protect your investment. RNM Painting does NOT believe in cutting any corners. Doing so will result in a job that neither you nor we will be proud of. RNM Painting delivers the highest quality of services. 100% customer satisfaction is our main goal. We understand that good surface preparation and high quality products will deliver outstanding and long-term results.